When I was involved in the public sector, I got used to seeing job applications that were interminably long, verbose and lacking in basic information. When you interview someone for a job, you need to get to know them and to understand their motivations and interests. The first thing that was inevitably missing was their date of birth because this was (PC) ageist! However, one soon got used to working back from their GCSE results to have a good idea of their age. Why was age important? To know they could give us a reasonable time in the job and to ensure they would fit well into the team they were joining. However, the process gets worse. 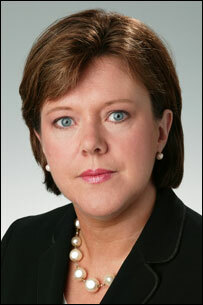 Mrs Maria Miller, a Conservative MP I understand,wants us to start using no-name job applications. This means each applicant will appear as Xxxxxx Xxxxxx. What utter nonsense! Mrs Miller is suggesting that ladies with Moslem names will be rejected for that reason. I don’t believe it. Employers want the best person for a job but they need to feel some empathetic relationship with people applying. To consider a listing with anonymity just feels absolutely awful and too PC for words. An employer needs to select the best person for a job and this has to include a good gender balance where there is a predominance of gender in the current area. It also needs to reflect ethnicity to try to maintain an appropriate balance but the over-riding need has to be skills to match the job specification. Putting PC targets in the way of deciding a good appointment is just unhelpful. This entry was posted in Politics and tagged Maria Miller, no-name job applications, PC gone mad. Bookmark the permalink.